The Primus Hotel is a gorgeous Art Deco inspired heritage hotel in the centre of Sydney, on busy Pitt Street. When it was built, it was the most expensive in the city - the former Metropolitan Water Sewage and Drainage Board became an instant icon on the landscape. Now, as Primus Hotel, there are 172 guest rooms and suites decorated in a contemporary take on deco, with public areas restored to delicious effect. Primus Hotel has partnered with Veuve Clicquot and transformed its exclusive rooftop pool into the city’s most anticipated rooftop bar, opening this week. 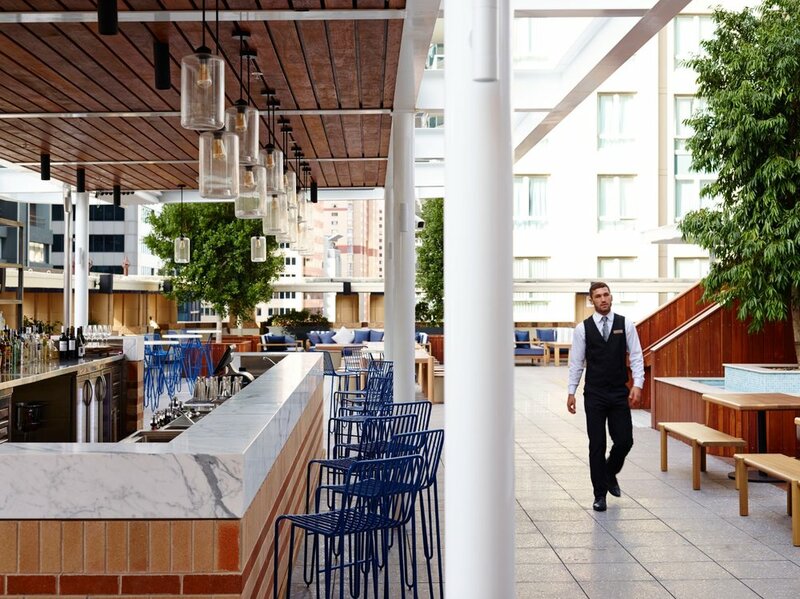 The New York inspired rooftop was formerly only open to hotel guests, but is now set to be the go-to bar for champagne, oysters and cocktails. To add to the fun, every Friday at 4:30pm the hotel welcomes visitors to take part in a hotel tour, exploring the design features and history of the building. Tour and drinks sounds like a good plan. Head to primushotelsydney.com for more information.